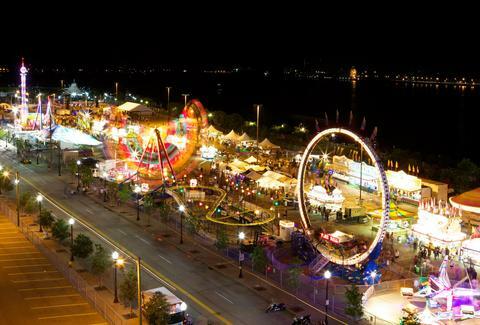 Detroit River Days Music, food, Jet Skis, zip lines... this is what’s in store this year for River Days, and if that’s not incentive enough to hang out on the Riverfront for a day, then we don’t know what is. Detroit River Days Detroit Riverfront Music, food, Jet Skis, zip lines... this is what’s in store this year for River Days, and if that’s not incentive enough to hang out on the Riverfront for a day, then we don’t know what is. 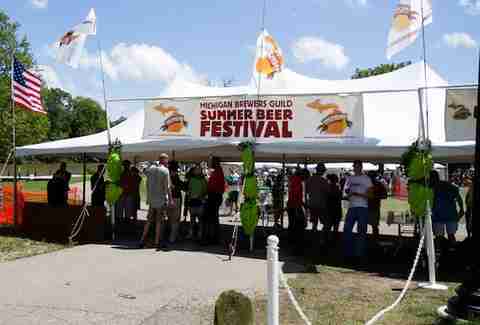 Royal Oak Summer Beer Fest It’s a celebration of craft brews from near and far, and as far as food goes, Detroit BBQ Company will be there as will comfort food-producing Delectabowl. Royal Oak Summer Beer Fest Royal Oak Farmers Market It’s a celebration of craft brews from near and far, and as far as food goes, Detroit BBQ Company will be there as will comfort food-producing Delectabowl. Ford Fireworks Most cities blow stuff up in July to celebrate our nation’s independence, but for some reason Detroit figures June is better, so that’s just what we do. 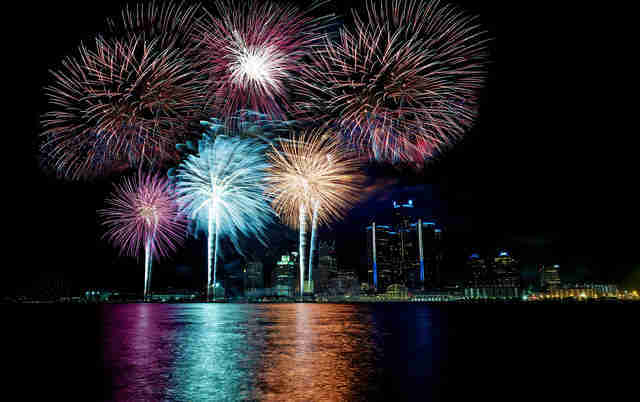 Ford Fireworks Detroit Riverfront Most cities blow stuff up in July to celebrate our nation’s independence, but for some reason Detroit figures June is better, so that’s just what we do. Stars & Stripes Festival Nothing says ‘Murica quite like the Stars & Stripes Festival. There’s the fireworks, the monster-truck ride, and the Budweiser National Stage where you can see Buckcherry, Hoobastank, P.O.D., and more. 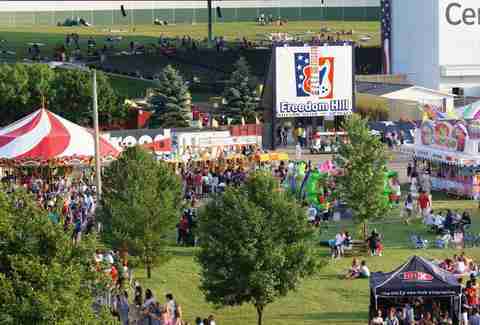 Stars & Stripes Festival Freedom Hill Nothing says ‘Murica quite like the Stars & Stripes Festival. There’s the fireworks, the monster-truck ride, and the Budweiser National Stage where you can see Buckcherry, Hoobastank, P.O.D., and more. The Rolling Stones The Stones rank #4 on Rolling Stone’s list of the 100 greatest artists of all time. But since the Beatles are no more, Bob Dylan’s nearly unintelligible, and Elvis is dead, the Stones might as well be #1 now. Check ‘em out. The Rolling Stones Comerica Park The Stones rank #4 on Rolling Stone’s list of the 100 greatest artists of all time. But since the Beatles are no more, Bob Dylan’s nearly unintelligible, and Elvis is dead, the Stones might as well be #1 now. Check ‘em out. Summer Zoomance You like booze and you like animals. The Detroit Zoo knows this, which is why it's providing you with a cash bar, live music, and no kids allowed. Summer Zoomance Detroit Zoo You like booze and you like animals. The Detroit Zoo knows this, which is why it's providing you with a cash bar, live music, and no kids allowed. Shakespeare in Detroit “Double, double toil and trouble”... is from Macbeth and not at all what you’ll find at New Center Park during this Bard-fest. Actually you’ll find Macbeth performed for you outside. Shakespeare in Detroit New Center Park “Double, double toil and trouble”... is from Macbeth and not at all what you’ll find at New Center Park during this Bard-fest. Actually you’ll find Macbeth performed for you outside. Michigan Brewers Guild Summer Beer Fest The Michigan Brewers Guild knows how to throw a party. The key: lots and lots of Michigan-made beer. Of course, the pleasant Riverside Park location helps, too. Michigan Brewers Guild Summer Beer Fest Riverside Park, Depot Town, Ypsilanti The Michigan Brewers Guild knows how to throw a party. The key: lots and lots of Michigan-made beer. Of course, the pleasant Riverside Park location helps, too. Mo Pop Indie fans, rejoice! Modest Mouse, Iron & Wine, and Passion Pit will be playing, along with your favorite local kickass rock band Jessica Hernandez & The Deltas. Mo Pop West Riverfront Park Indie fans, rejoice! Modest Mouse, Iron & Wine, and Passion Pit will be playing, along with your favorite local kickass rock band Jessica Hernandez & The Deltas. Kid Rock Detroit’s favorite rap-rocker has 10 shows lined up at DTE this year, and as a special offer, anyone who can scream “My name is KIIIIIIIIIIIIID ROCK,” for as long as he does in "Bawitdaba" gets in free... just kidding tix are $20. Kid Rock DTE Energy Music Theatre Detroit’s favorite rap-rocker has 10 shows lined up at DTE this year, and as a special offer, anyone who can scream “My name is KIIIIIIIIIIIIID ROCK,” for as long as he does in "Bawitdaba" gets in free... just kidding tix are $20. Detroit Burger Brawl Who has the best burger in Detroit? In 2013 it was One-Eyed Betty’s. In 2012 it was Townhouse, and in 2014 no one won because the main sponsor pulled out, leaving backyard BBQ-ing dads throughout the metro Detroit area to claim the title for themselves. 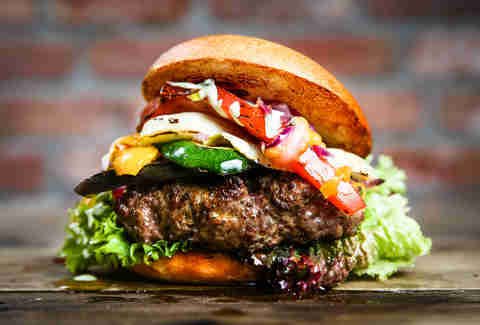 Detroit Burger Brawl Erskine St btwn Russell and Rivard Who has the best burger in Detroit? In 2013 it was One-Eyed Betty’s. In 2012 it was Townhouse, and in 2014 no one won because the main sponsor pulled out, leaving backyard BBQ-ing dads throughout the metro Detroit area to claim the title for themselves. Woodward Dream Cruise It’s the largest one-day celebration of classic-car culture in the world: check the official website for all the stuff going down along Woodward in Ferndale, Pontiac, Birmingham, and beyond. Woodward Dream Cruise Woodward Ave It’s the largest one-day celebration of classic-car culture in the world: check the official website for all the stuff going down along Woodward in Ferndale, Pontiac, Birmingham, and beyond.